The famous No-Knead Bread by Jim Lahey of Sullivan Street Bakery, made popular by The New York Times in 2006, is still as popular as ever. And that's because the method works consistently, the margin of error is small (meaning you have to put in some serious effort to ruin it), and no special equipments or heavy manual labor are needed to create this beautiful bread with open texture and exquisite crust. Have you made this bread? 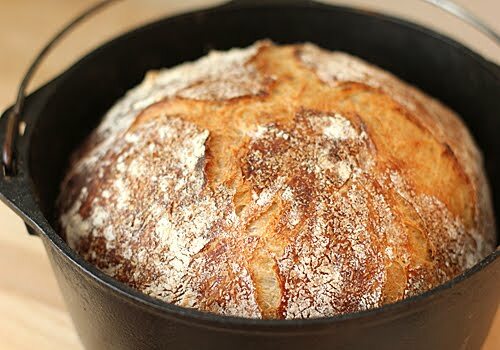 Visit The Galley Gourmet for a (very inspiring) pictorial step-by-step guide on how to make this No-Knead Bread.